The Systec deltaflowC was developed to meter air and other non-explosive and non-corrosive gases in pipes and channels in a very precise, cost effective manner. 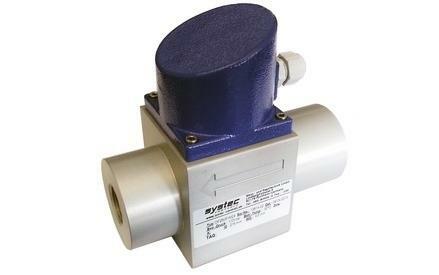 The Systec DeltaFlowC features the smallest and fastest multivariable transmitter for metering mass flow of gases. DeltaFlowC operates according to the highly precise differential-pressure metering method. Extremely fast sensors for differential pressure, static pressure and temperature, as well as a powerful microcontroller, are intergrated in the transducer in an area of just a few cm2.